The ChemBioDraw Ultra 14.0 suite provides scientists with an up to date collection of scientifically intelligent applications for chemical structure drawing and analysis combined with biological pathway drawing. 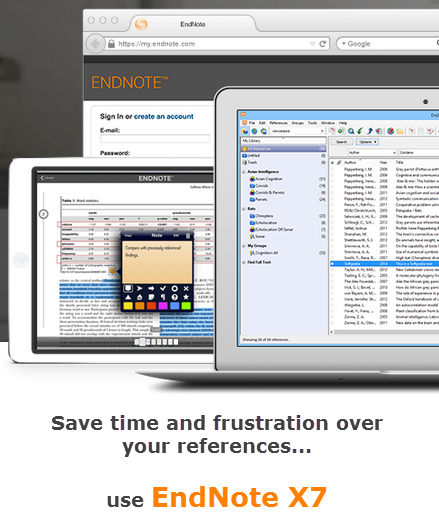 Search SciFinder direct from ChemBioDraw Ultra with no time-consuming cutting and pasting. Copy and paste CDXML and molfile text to and from the clipboard for data exchange with other applications that can consume these file formats. Figure 1: Image showing the electrophoresis plate, biopolymer sequence and 3D structure. This ultimate chemistry and biology drawing application delivers all of the industry leading drawing, publishing and analytical features in ChemDraw combined with the biology features in BioDraw, providing a complete solution for chemical structure drawing and analysis combined with biological pathway drawing.ChemBioDraw Ultra chemical structure analysis tools include 13C and 1H NMR prediction with peak splitting and highlighting and choice of solvent, Struct=Name, ChemDraw/Excel, stoichiometric analysis, property predictions including pKa, LogD and LogS live-linked to the structure, a live-linked Database Gateway, fragmentation tools, TLC and Gel Electrophoresis plate drawing tools, and 3D structures live-linked to the 2D structure. ChemBioDraw also offers customization options for Nicknames, Templates, and HotKeys, and adds a new Save to Dropbox feature. A new biopolymer toolbar enables creation of peptide, DNA and RNA sequences, including beta and D-amino acids, disulfide and lactam bridges and linkers and protecting groups. Biological pathway drawing elements include membranes, DNA, enzymes, receptors, and reaction arrows. tRNA, Ribosomes, Helix Proteins, Golgi Bodies, G-Proteins, Immunoglobins, Mitochondrion, new Freehand Pen Tool, Annotation, and a Plasmid mapping tool are also included. This premier application for desktop molecular modeling and protein visualization provides support for state-of-the-art open GL graphics and stereo hardware. Build small molecules using the ChemDraw interface and see the 3D structure appear simultaneously, perform basic Molecular modeling computations such as Dihedral driver MM2 experiments, Molecular Mechanics and Dynamics. Perform ab initio calculations with an interface to GAMESS. ChemBioFinder Ultra is the ultimate database management system for chemical structure and information databases. Browse, create, search, and update local databases with structural, numeric, and text data via user-customizable forms, including structural, sub-structural, and similarity queries, as well as linking to related data in sub-forms. Calculate values for physical properties, view and edit structures in a variety of modes, automatically create databases and forms for imported data, export and print. Easily manage saved queries, access favorite databases, and view database structure via the dockable Explorer Window. Features include the ability to perform RGroup Analysis, read graphic files from the database, Python programming and improved tautomeric searching. ChemBioFinder for Office locates and searches structure files contained in documents on your computer or network drives. Multiple structure file types are recognized, including cdx, mol, sdf, rxn and skc, and search results can be displayed or exported as SDfiles. ChemBioViz Pro is a rich toolkit for visualizing numeric data in ChemBioFinder. Calculate and display structure activity relationships, clustering relationships, and statistical data, including histograms, scatter, logarithmic plots, and dendrograms. Descriptive statistics include minimum, maximum, mean, median, standard deviation and more. Create Compound Profiles and visually compare and rank structures based on values of selected properties and the cost profile associated with each property. Create plots within ChemBioFinder sub-forms.ChemBioViz is a visualization application which works with ChemBioFinder Ultra and allows users to correlate biological activity with chemical structures. ChemBioViz transforms ChemBioFinder data into easy to understand graphics, allowing scientists to easily discern structure-activity relationships. ChemBioViz generates an interactive window containing a variety of plot types and allows researchers to analyze data using a variety of statistical analytical tools. Users can then filter their data on any field in the database in order to examine subsets of data in order to locate trends and correlations. ChemDraw/Excel allows scientists to create chemically intelligent spreadsheets within the familiar Microsoft Excel environment. Build and manipulate chemical structures within Excel, compute chemical properties and use structure and substructure searches to locate and group compounds. BioDraw Ultra makes drawing and annotating biological pathways quick and straightforward, adding an unmatched level of uniformity and detail. Drawing elements include membranes, DNA, enzymes, receptors, and reaction arrows, tRNA, Ribosomes, Helix Proteins, Golgi Bodies, G-Proteins, Immunoglobins, Mitochondrion and a Plasmid Map Tool. BioDraw Ultra now includes a biopolymer toolbar for drawing and editing peptide and nucleotide sequences using single and three letter codes, including beta and D-amino acids. The sequences can be expanded and contracted and sulfide and lactam bridges can be easily added. ChemNMR can be used to accurately estimate 13C and 1H (proton) NMR chemical shifts. The molecule and the spectrum appear in a new window. The chemical shifts are displayed on the molecule and the spectrum is linked to the structure so that clicking on a peak in the spectrum highlights the related fragment on the molecule. With ChemNMR 13.0, the solvent can be specified as DMSO or CDCl3. Struct=Name contains the leading comprehensive methods for converting chemical structures into IUPAC chemical names and names to structures. It can be used for many types of compounds, including charged compounds and salts, bridged and fused ring systems, highly symmetric structures, isotopically labeled compounds and many other types of inorganic and organometallics. MestRe Nova (MNova) Std is a 1D only application for data processing, visualization and analysis of NMR data. The program provides a variety of conversion facilities for most NMR spectrometer formats and includes the conventional processing, displaying and plotting capabilities of an NMR program, and more advanced processing techniques. MNova Std/Lite is a 1D only version of MNova which offers the user basic processing and analysis capabilities. The full version of MNova is available through the SciStore online store or directly through Mestrelab Research. Edit your document using your installed version of ChemDraw, rather than your ActiveX, providing greater screen real estate for editing, and also access to the full range of ChemDraw capabilities. Control every aspect of arrows drawn, including arc, length, headstyle, dipole, no-go and more. Draw peptides and nucleotide (DNA, RNA) sequences using 1- and 3- letter codes. Includes natural L-, unnatural D- and beta amino acids. Simply switch between 1- and 3- letter codes and expand and contract labels. Insert linking and protecting groups with simple type-ahead functionality. Use the bond tool to create disulfide and lactam bridges, and cyclic peptides. Draw both acyclic and snaking chains. (W) See what structures look like in 3D in a floating window and open Chem3D with a single click from within ChemDraw. Reading & writing of chemical file formats including skc, mol v3000, sdf, spectra & reactions. Users can now select whether they want the spectrum predicted in CDCl3 or DMSO. Users can add their own shift correction data for proton prediction which can supplement the existing data used by the ChemNMR algorithm. (W) Advanced property parameter including BP, MP and more. CLogP/CMR provides the latest methodology for calculationg n-octanol/water partition coefficients and molar refractivity. Search PerkinElmer Informatics databases for chemical structures in real time as you draw. Generate multiple structures from an “abbreviated” generic structure. Add special characters from any font instantly to any ChemDraw document. Element information available at all times with floating periodic table on the desktop. Use the mouse or other pointing device to draw freehand shapes using this intuitive drawing tool. Draw gel electrophoresis plates. This new tool is similar to TLC Plate Tool, and provides arbitrary rotation for lane labels, drag and position band labels, paste data from Excel or other sources, and copy and paste between lanes. Documents can contain over 16 million colors. Create high color pathway and element templates. New compatibility mode allows ChemDraw to look and feel like your legacy drawing package. Data can be attached to objects. Publication-quality EPS glassware art for use within your ChemDraw documents. Calculate the logarithmic value of the distribution coefficient D, which is the ratio of the sum of the concentrations of all forms of the compound (ionized plus un-ionized) in each of the two phases. Calculate the logarithmic value of the aqueous solubility S of a compound. This value significantly affects its absorption and distribution characteristics. Three fragmentation tools: Mass, Dissociation, & Retrosynthesis. (W) ChemDraw offers full integration via OLE, so you can embed your drawings in any Office document. 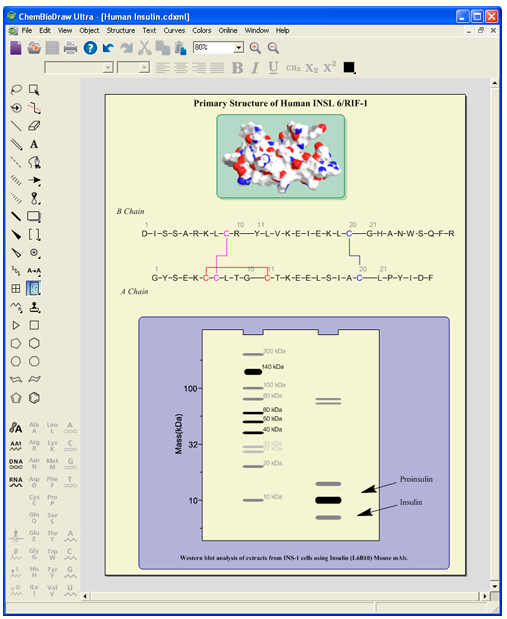 Create multiple page documents and posters within a single ChemDraw file. Produce structures from systematic and common chemical structure names, and generate systematic IUPAC names from structures. Works for many types of compounds, including charged compounds and salts, isotopically labeled compounds, highly symmetric structures and many other types of organic, inorganic and organometallics. (W) Draw a structure or model and immediately get online vendor information ChemACX.Com with the click of a button. Paste sequences in FASTA format. Copy a text string describing a biopolymer as a series of single or multi letter residues, with valid separators (space, tab, dash), and paste it as a sequence with full chemistry. Calculate the logarithmic value of the acid dissociation constant Ka, which is a quantitative measure of the strength of an acid in solution. Create a plasmid map entering the number of base pairs in the plasmid map and specifying ranges for regions and locations and labels for markers. Represent and manipulate polymers in ChemDraw. Chemical names, formulas, molecular weights, and other physical properties added to the document are “live”, and will now update automatically as modifications are made to structural diagrams. Allows specification of relationships between groups of stereocenters smaller than an entire molecule. Change the center of rotation using adjustment handle on the Lasso and Marquee tools. Rotation will now be centered on the selected origin. Use Cloud storage via Dropbox to save, share and import ChemBio3D models in a secure but sharable Cloud location. Draw peptide or nucleotide sequences using using 1 and 3 letter codes. The atoms are labeled with amino acid or nucleotide nicknames. The sequences can be expanded and contracted. Identifies stereocenters using Cahn-Ingold Prelog rules. Automatically track and update stoichiometry data for any user-defined chemical reaction. Adjust the perspective of ChemDraw molecules with simple horizontal/vertical mouse movements. Draw thin layer chromatography plates. Drag plate to size and drag spots to required positions. Shape and color spots and set or display Rf values. Topological Polar Surface Area (tPSA) provides a fast approximation of the molecular polar surface area, a useful parameter for prediction of drug transport properties, which has been show to correlate with human intestinal absorption and blood-brain barrier penetration. (W) Chem3D uses openGL to provide high quality graphics display. (W) Display group labels in the Chem3D model view. (W) Automatically display hydrogen bonds in the 3D view! (W) Toggle between dashed line and alternating single-double bond representation of delocalised and aromatic bonds. (W) Built in support for MM2 to generate realistic 3D structures. (W) Hierarchical tree-control for exploring the structure of large models. Import a PDB file and examine chains, groups, and ligands. This new feature gives fine-grained control. (W) Workstation quality molecular modelling. Enable multiprocessor support in MMFF94 calculations. (W) Embed Chem3D models in PowerPoint files. Rotate and zoom Chem3D models while giving a presentation. (W) Display spectral calculation results from Jaguar, Gaussian, and GAMESS as a graphical display in a separate window. (W) Query ChemFinder database by 3D parameter. (W) Include third party ActiveX controls on your form. (W) Automatically build or extend databases by importing structures from collections of structure files, databases, SDFiles, or other sources. (W) Search on your computer or network for chemical structures in Word, Excel, Powerpoint, ChemDraw, ISIS files and more, and browse, search, refine, or export your hit list to any destination. (W) The bio visualization add-on to ChemBioFinder allows you to create graphical representations of ChemBioFinder databases in order to identify trends and correlations within subsets of your data. (W) Search for (sub)structure, similarity, numeric values, text, chemical formula (including element ranges, element exclusions), date. Support for tautomers and alt groups. Discover similarities within sets of compounds and properties. (W) Visually compare and rank structures based on values of selected properties and the cost profile associated with each property. (W) Use a navigation tree to track history of searches between sessions, allow queries to be rerun or reconstituted; merge lists by drag-and-drop in tree. Queries color-coded to relate to ChemBioViz plots. (W) Merge hitlists with any logic: intersect, union, subtract, reverse subtract. (W) View records one at a time, in a table view or a multiform view. (W) Plot one or two variables with a variety of plotting options. Hover over a point to view the corresponding chemical structure. Filter displayed points by any numeric variable using a slider control. (W) Perform statistical analyses and display the results on the plot, modify the shape and colour of plot points, add comment boxes, change axis label text and background colour. (W) Include miniature plots inside subform boxes for quick visualisation of subform data on a per-compound basis. (W) Generate many types of physical property; populate database fields automatically or generate on-the-fly per record. Python scripts can be written to automate the application and can be attached to buttons on the form or to database trigger events. User the enhanced Script Editor to develop and debug — now featuring interactive line-by-line execution — and display output in a new dockable text window. (W) Python scripts can be written to automate the application and can be attached to buttons on the form or to database trigger events. User the enhanced Script Editor to develop and debug — now featuring interactive line-by-line execution — and display output in a new dockable text window. CAL is a simple programming language, accessible to non-programmers allows automation, self-running demos, custom operations; includes debugging features. (W) Link relational data to your main table via subforms. (W) Partition a form into sections using tabbed form pages. A set of high color pathway and element templates. (W) Use Excel to organise and analyse your chemical data. (W) Generate a ChemDraw structure in MS Excel by typing in systematic chemical names for most substances. Predict Proton NMR spectra with splitting patterns. Also predict Carbon-13 NMR spectra. Spectra and peaks are linked to the structure for clear interpretation. Add your own shift correction data for proton prediction which can supplement the existing data used by the ChemNMR algorithm. Produce structures from systematic and common chemical structure names. It can be used for many types of compounds, including charged compounds and salts, highly symmetric structures and many other types of organic, inorganic and organometallics. Produce names for many more types of compounds, including charged compounds and salts, highly symmetric structures, many types of inorganic and organometallic compounds and others. Process and analyze 1D NMR FID (free induction decay) files.